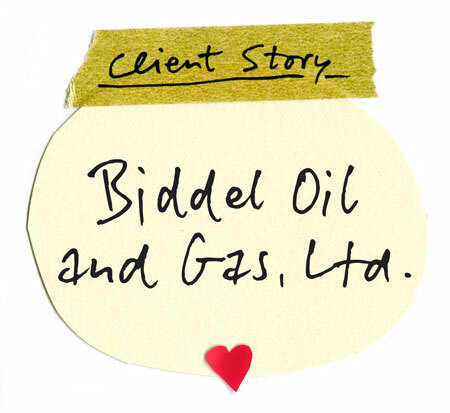 Awoala Fredericks: Biddel Oil and Gas, Ltd. I got started in the oil and gas industry in 2010 and started my gas station company in 2013. Currently, I have a gas station and delivery trucks that deliver petroleum products to businesses and homes. My mission is to build a network of gas stations—about 1,000 of them—in Nigeria and then expand into other countries. I’m from a region that focuses on oil, and I’ve seen a lot of places where customers were dissatisfied—as well as areas that needed improving that people in the industry were not taking advantage of. I believed that by going into business I could help customers have a better experience. I wasn’t prepared for what was ahead of me. I started with the mindset of a “Technician,” as Michael Gerber would put it in his book, The E-Myth Revisited, and I was suffering from the “Entrepreneurial Seizure.” I knew what I wanted, but I never knew how to get what I wanted. Every move I made was based in frustration; I just got tangled in a web that I couldn’t get free from. I was at the point of giving up, and not moving forward with the business. But that's not something in my makeup. I always take responsibility for what doesn’t work in my life. It’s not the business that can’t work; I just didn’t know how to make it work. I came across a quote from Einstein, “No problem can be solved from the same level of consciousness that created it.” With my background in Chemical Engineering, I thought it was in line with Newton’s first law of motion: An object at rest stays at rest and an object in motion will stay in motion with the same speed and direction unless compelled by an external force to act differently. That’s when I decided I needed a coach. A coach would be my external force to raise my level of consciousnesses to be able to see the cause of my problems—beyond what I can see—and move my attention to the areas of highest importance. I remember the first call with my coach, Mary Rydman, vividly. I told her in very straight terms that I was frustrated and that I needed somebody to guide me. I’m a big fan of Michael Gerber. I’ve read most of his books, and in The E-Myth Mastery, it says, “To build a world class company, you must first become a world class entrepreneur.” My vision is to have a fully integrated, world-class oil and gas company—and for me to build that company, I needed to become a world-class entrepreneur. Mary said she could help me do exactly that. She took me through a route, that if left to my own devices, I would have never gone through. While working through my Values, Passion and Purpose statements, I was asking, “What has all this got to do with business development? Let’s go straight to the point and hit the nail on the head! How do I get more customers? How do I get more sales?” But Mary could see farther than I could and said that this would all lead to what I wanted. I followed her religiously and, today, I’m happy that I did. EMyth Coaching has been one of the greatest experiences I’ve ever had. I never knew business could be this simple. It’s taught me a lot of things, like how to engage and then show my employees with things like Employee Development Meetings. I never knew things like development meetings or hiring seminars were part of business development. Since I’m beginning to change, I’ve found a bird's eye view of what a business should be. I know now the work of the Entrepreneur, the CEO of a business. I know what my job is. I have an idea of how to work ON the business and I’m not working IN it. I’ve come to understand that the business is a reflection of me. If I'm scattered—if I’m not organized—it will show in my business. The system is so very comprehensive about business development. My employees know that something good is happening to me. They see that I’m turning into a new person. Mary has enlightened me to a point that I wake up and think about how to better my business, how to take it to the next level. Eventually, I hope to become an EMyth Coach as well. I have so much more to learn, but I can’t wait.